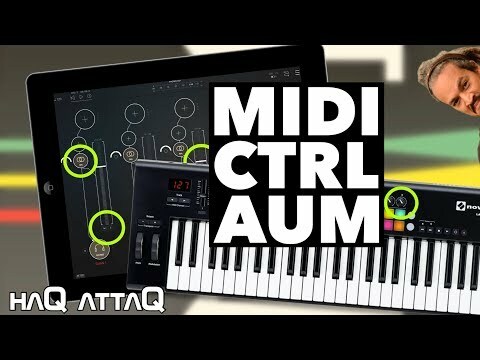 Here's how you control everything in AUM iPad and iPhone using type of MIDI controller. I've been asked so many questions about MIDI mapping in AUM including how to hook up transport controls, how to select MIDI devices, can the mixer faders be controlled, how do to map Audio Unit Extensions ( AUv3 ) etc. Well, it's about time I do something about it. Check this! I can’t find any functions for it. Is a very unusual function to have midi mapping’s for, so I’m wondering how you would use it if it was available? I'm so glad you asked Jakob. Thanks! For live remixing/faux beat-matching of my own loop stems. I enjoy making beats or loops on AUM. Two things about it is that it's open, doesn't crash, and allows me to run more instruments and FX than lots of other hosts. I still have mini2.